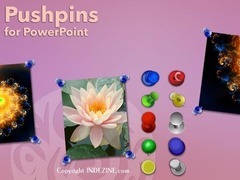 10 pushpin graphic variations, each in 5 colors -- for a total of 50 pushpin graphics. 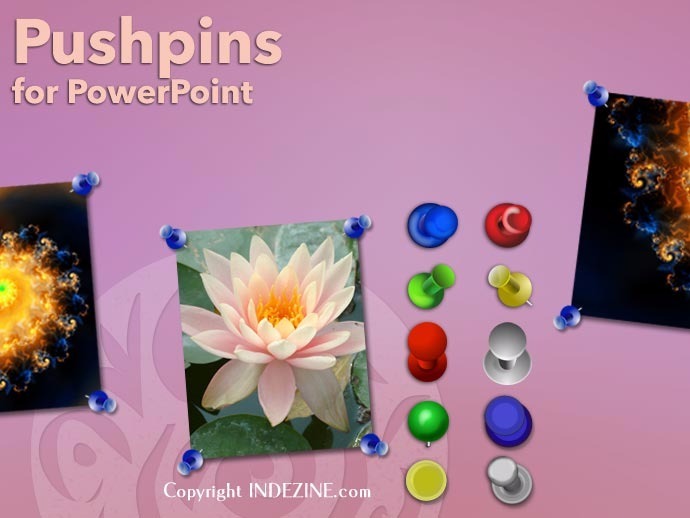 These “pushpin” graphics are already placed in PowerPoint slides – just copy them and paste within your slides to create a look that makes a picture, shape, or something else appear as if it has been pushed onto a surface, board, or wall with a pin! These ready-made pushpins are already within PowerPoint slides -- and have been provided in five colors. Just copy them and paste them on your slides. All these pushpin graphics can be rotated and resized, as required. Since they are essentially pictures, all types of edits that you can do with pictures work with them too! 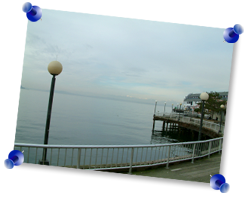 For example, to make them stand out, try to use PowerPoint’s built-in shadow effects. Don't you want to use some in your slides today?